Singer, songwriter and philanthropist Chaka Khan was announced on Oct. 17 as the 2019 Grand Marshal by Tournament of Roses® President Gerald Freeny. 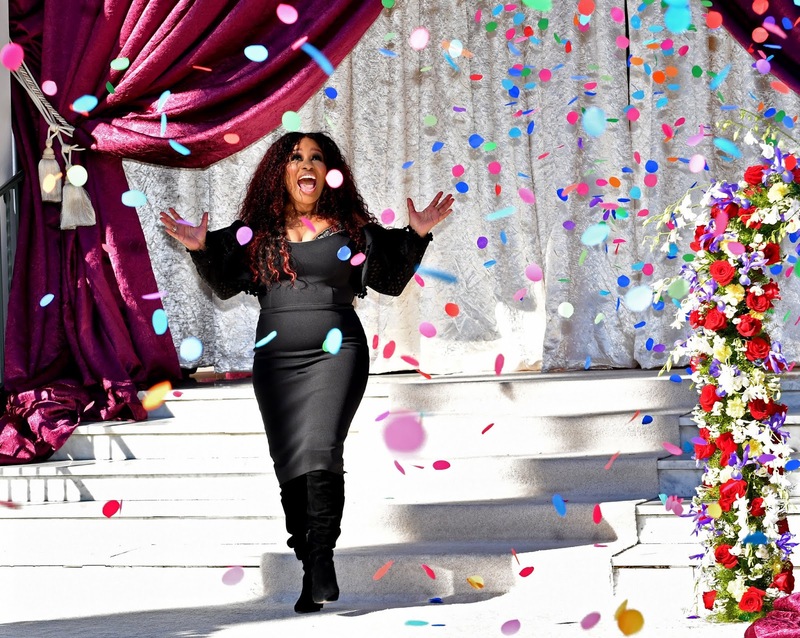 Chaka will ride in the 130th Rose Parade® presented by Honda, themed "The Melody of Life" and join in the pre-game celebration of the 105th Rose Bowl Game® presented by Northwestern Mutual both are held on January 1, 2019. As an added bonus for millions of viewers around the world, Chaka is scheduled to perform in the parade's Opening Spectacular. Chaka is one of the most celebrated musicians with a rich musical legacy. As a singer, songwriter, actor, author, philanthropist, and entrepreneur, Chaka has influenced generations of entertainers. She has the rare ability to sing in seven music genres, including R&B, pop, rock, gospel, country, world music and classical. Affectionately known around the world as Chaka, she is respected by millions of fans as well as her peers for her timeless, classic and unmatched signature music style and ability. Throughout her legendary career, Chaka has released 22 albums and ten #1 Billboard magazine charted songs. However, the song that propelled her to stardom was the 1984 chart-topping, GRAMMY® award-winning song, "I Feel For You," written and first performed by Prince. Despite her busy schedule, Chaka has always made time to support and uplift her community. In 1999 she established the Chaka Khan Foundation which educates, inspires and empowers children to achieve their full potential. Through the Chaka Believes Program, the foundation gives children in Los Angeles who are at risk, either through poverty or through health issues like autism, the ability to achieve their dreams and give back to the community. The Tournament of Roses is a volunteer organization that hosts America's New Year Celebration®with the Rose Parade® presented by Honda, the Rose Bowl Game® presented by Northwestern Mutual and a variety of accompanying events. 935 volunteer members of the association will drive the success of 130th Rose Parade themed "The Melody of Life," on Tuesday, January 1, 2019, followed by the 105th Rose Bowl Game. For more information, visit tournamentofroses.com. Like us on Facebook and follow us on Twitter, Instagram and YouTube.